How big are the peanut butter balls? We're so glad they are enjoying their rest stop. Didn't know that OK would have tornadoes and bad weather before the journey. Come on Woodland, we don't buy it. If Chai and Bamboo don't make it, we're not surprised and believe it was planned. Why? Because a viable sanctuary was proposed and turned down. So glad to hear the girls are doing well! 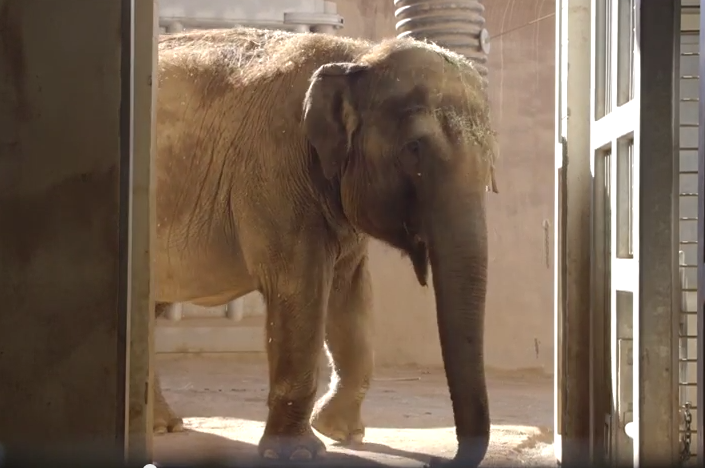 We were just at the SD zoo a few months ago and they had an impressive elephant facility. There is so much conflict and misinformation around the elephants...our family knows and appreciates that you (WPZ) always do your best for all of our Seattle animals. Thank you!